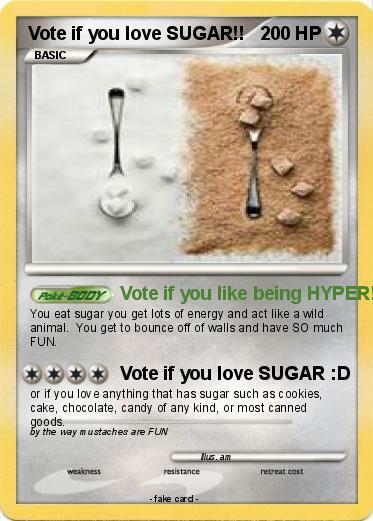 Name : Vote if you love SUGAR!! Attack 1 : Vote if you like being HYPER!! You eat sugar you get lots of energy and act like a wild animal. You get to bounce off of walls and have SO much FUN. or if you love anything that has sugar such as cookies, cake, chocolate, candy of any kind, or most canned goods.